Readers of the Raging Chicken know that today marks the beginning of an unprecedented mass occupation of Wall Street. 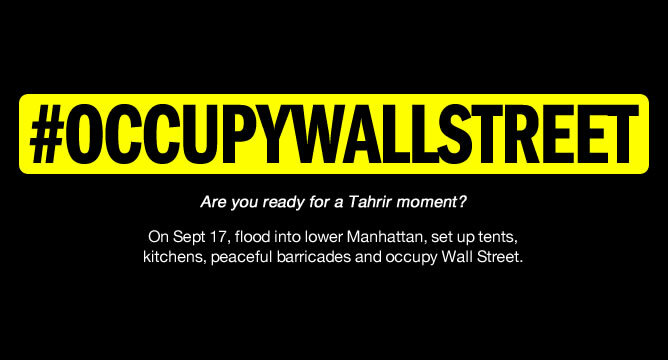 In the September issue, Dustin Slaughter posed the question, “Will Occupying Wall Street be America’s Tahir Square Moment?” Only time and the determination of tens of thousands of activists who have descended upon Wall Street with tents and camping gear will be able to answer that question. Raging Chicken Press is in contact with Dustin Slaughter and the David and Goliath Project who are on the ground, filming in Wall Street. We will bring you Field Notes from Dustin and others periodically. 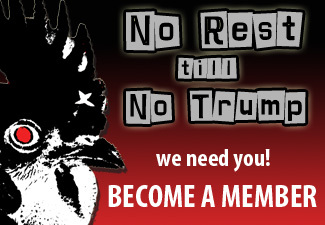 It is hard to understate the importance of Occupy Wall Street for building and energizing political movements able to respond to the ongoing theft of our democracy. For those with twitter accounts, search for the hashtag #OccupyWallStreet and follow events in real-time. 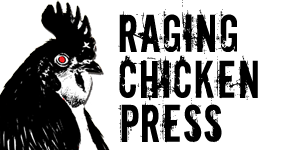 Raging Chicken Press has also put a twitter feed for #OccupyWallStreet in a sidebar on our main page. The feed does not update as frequently as it would through Twitter. However, for those without Twitter accounts who want updates, we wanted to provide one way to do that. Thoughts, prayers, and solidarity to our brothers and sisters who are standing up for every single one of us.